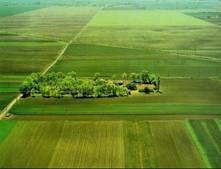 Vojvodina makes almost one quarter of the Serbian territory or 21,506 square kilometres. Novi Sad is the administrative, economic and cultural seat of the province. Vojvodina consists of 45 municipalities and seven districts whose seats are Subotica, Zrenjanin, Kikinda, Pancevo, Sombor, Novi Sad and Sremska Mitrovica. Vojvodina is intersected by three big navigable rivers: the Danube, Tisa and Sava. They divide its territory into three clearly visible units: Banat in the east, Backa in the north-west and Srem in the south-west. All three regions are characterised by fertile arable land, economic and cultural development, high population density and demographic variety. The relief of Vojvodina is primarily flat except for Srem which is dominated by the Fruska Gora mountain and the south-east of Banat with its Vrsacki Breg hill. The river Danube with its tributaries has nowadays the biggest hydro potential. It is also the most important waterway and the most significant strategic route in Europe. The Danube flows 588 kilometres through Serbia, primarily through Vojvodina and is navigable along the whole length. Its tributaries Tisa (168 km), Sava (206 km) and Begej (75 km) are navigable too. They are connected with a water irrigation system. The whole length of the irrigation system is 939 kilometres, 673 of which are navigable. Other important traffic routes also pass through Vojvodina. There is a highway coming from Central Europe and the Hungarian border. It goes through Novi Sad and Belgrade further to Nis, where it takes two directions: one to the east towards the Bulgarian border and another to the south towards Skopje and Thessaloniki. There is also the third highway in Srem which takes the direction to the west towards the Republic of Croatia and further on towards Western Europe. On both sides of the highway there is a network of local roads and railway lines. The Morava-Vardar valley which begins at the south of Vojvodina, is the most important connection between the north and the south of the Balkan peninsula. Near Belgrade, it intersects the Danube east-west direction, thus creating a geo-strategic knot. This makes the geographic-strategic position of this province significant and advantageous for Serbia. 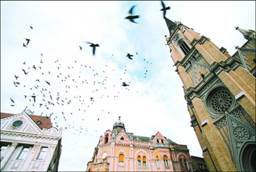 According to the 2002 census, Vojvodina has 2,031,992 inhabitants, which makes 27.1 percent of the total population of Serbia. With a population of 1,321,807, Serbs make the absolute majority in the province. Then come the Hungarians - 290,207, Slovaks - 56,637, Croats - 56,546, Montenegrins - 35,513, Rumanians - 30,419, Roma - 29,054, Bunjevacs - 19,776, Ruthenians- 15,626, Macedonians - 11,785 and other smaller ethnic groups like the Ukrainians, Muslims, Germans, Slovenes, Albanians, Bulgarians and others (a total of 26 ethnic groups) while 49,881 inhabitants declared themselves as Yugoslavs. The Statute of Vojvodina which is the basic legal act of the province, permits, besides the Serbian language, the official use of four other languages of the largest national minorities: Hungarian, Slovak, Rumanian and Ruthenian. Except for the language, the population differs in religion so that the Serbs, Montenegrins, Rumanians, Roma, Macedonians and Ukrainians are mainly Orthodox. Hungarians, Croats and Ruthenians Catholic while Slovaks are Protestant. There is also a number of Muslims and other smaller religious communities. 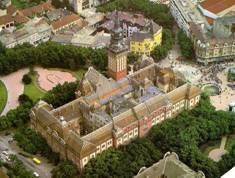 Novi Sad University consisting of 13 faculties where lectures are held in the languages of minorities as well. The oldest institutions in Vojvodina which traditionally have been the cultural and scientific bastions of the Serbian people are: Matica Srpska, founded in 1826 and the Serbian National Theatre, founded in 1861, which also performs plays in the languages of the minorities. In Novi Sad, there is a branch of the Serbian Academy of Sciences and Arts and two Scientific Institutes with some 3,000 experts in various fields who are active in these institutes and faculties. 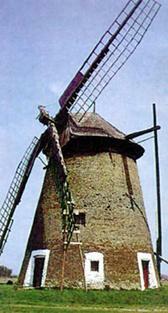 The economy of Vojvodina is based on the abundant wealth of fertile arable land which covers 84 percent of its area. Its natural fertility is improved by an irrigation network so that out of 1.78 million hectares of arable land, around 0.5 million is watered. About 70 percent of the yield are cereals, 20 percent industrial herbs and 10 percent other crops. Part of the produce is exported but most of it is processed by the domestic food industry, stationed mainly in Vojvodina (plants for processing of meat, fruit and vegetables, oil plants, sugar refineries, dairies, etc.). There is a strong basic industry that produces metal processing machines, electric machines and cables, construction material, oil derivatives, chemical products, electric motors, newsprint paper. There is also a high technology industry like production of dentists' equipment, cars, pharmaceutical products, porcelain, etc. Part of the income of the economy comes from tourism which is particularly developed on rivers and lakes, thermal springs and on Fruska Gora mountain which abounds with numerous Serbian Orthodox monasteries built in the Serbian-Byzantine style between the 15th and 17th centuries.